Maria qualified as an Advocate in 2003. She has broad expertise in general corporate and commercial transactions including financing, mergers and acquisitions and cross border transactions. Maria can also assist with drafting agreements, the redomicilation of companies, shareholder agreements and data protection issues. Having been employed as the Immigration Legal Officer for the Isle of Man Government’s Immigration Service and Attorney General’s Chambers, Maria has unrivalled specialist knowledge of the Island’s immigration legislation and rules. She has both drafted the Island’s immigration legislation and provided advice to the Isle of Man Immigration Service and UK Home Office on its application. Her practice includes advice to individuals seeking to relocate to the Island whether to invest, establish a business or to work. Her clients include High Net Worth Individuals and their dependents, local and international businesses and employers. She also deals with appeals to the Immigration Adjudicator. Maria is knowledgeable about EEA free movement matters including EEA Residence Permits and can help clients with applications for naturalisation or registration as a British citizen. She also assists family members of settled persons to relocate, extend their stay and settle in the Isle of Man under the family migration routes. 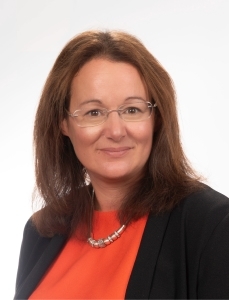 Maria is a panel member of the Isle of Man Criminal Injuries Compensation Panel.